—— Its compact design makes it take up small space which is much less that those installed in the traditional ways. 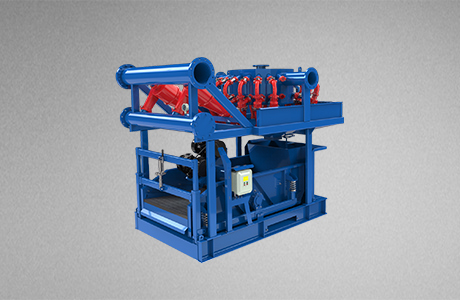 —— Its mud tank is able to carry solids control equipment, hold drilling mud and effectively reduce waste on the mud so that its recycling is fulfilled to the greatest extent. 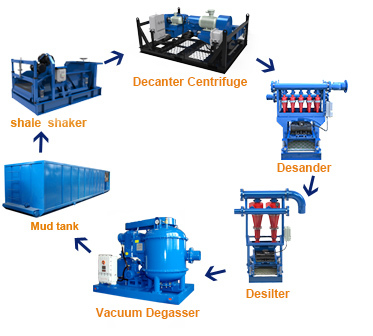 —— Its mud tanks are all fixed with built-in pipelines on which there are valves so as to pump drilling mud with various solids content during the operation. 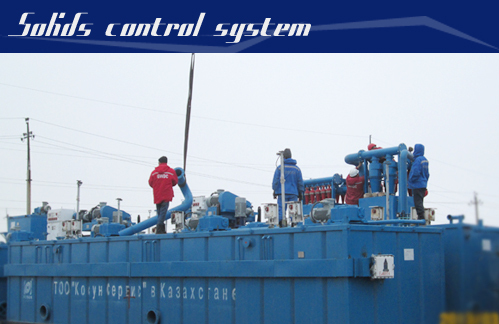 Besides, some medium slurry pipelines and clean water pipelines are also equipped. 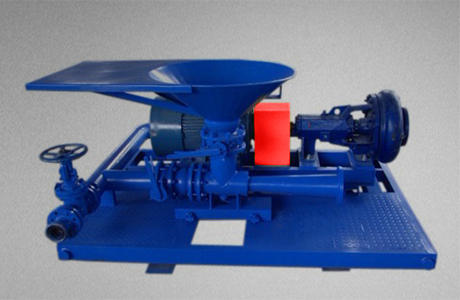 —— It contains jet mud mixer which would be used to concoct drilling mud with different specific weights. 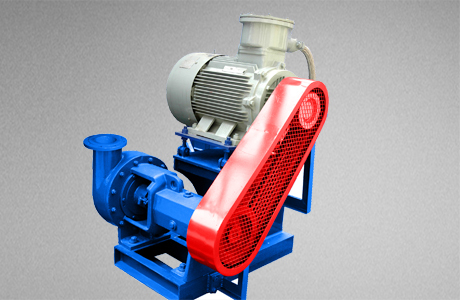 —— All its equipment is processed to be able to resist corrosion and abrasion, so they all have longer lifespan. 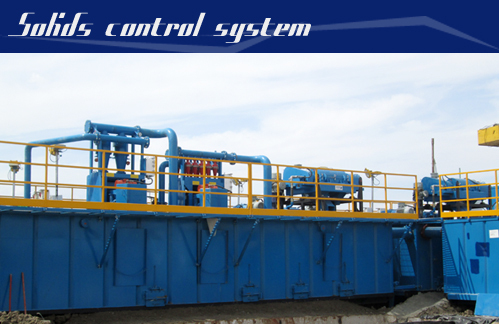 —— Solids control system can be flexibly assembled according to customers' requirements. —— It is able work under any terrible drilling conditions, being cold-resistant, thermostable, explosion-proof, leakage-proof, corrosion-proof and rain-proof. 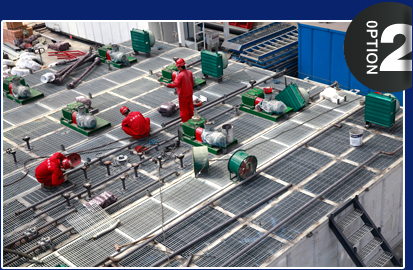 —— It is convenient to assemble and move with the drilling crew oftentimes. 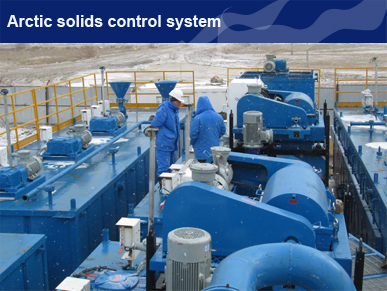 Solids control system is an organic composition of four-phase solids control equipment, safety equipment, other auxiliary equipment that are linked together based on their separation effects via pipelines as well as mud tanks which are the mud carriers. 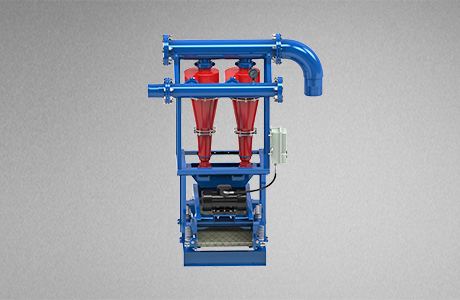 The cuttings-content drilling fluids flow through diversion pipes into shale shaker, where its larger cuttings (d≥74μm) are separated and the rest flow into mud tank via screen frame. 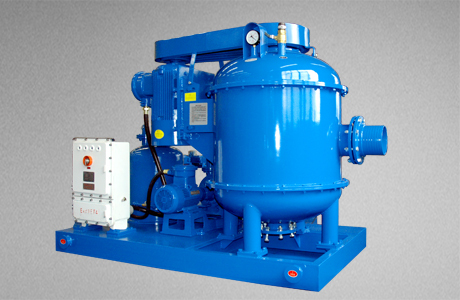 Then the vacuum degasser will suction it into the degasser tank for further gas-fluid separation when there are some gas bubbles in drilling fluids. 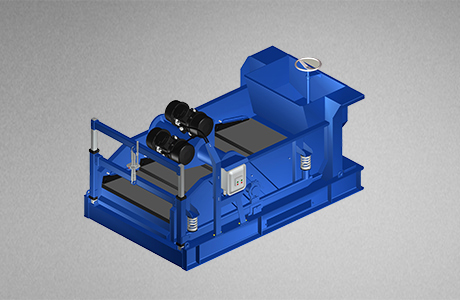 Afterwards, it will be pumped into desander and desilter for more solids removal by the centrifugal force produced in cones. 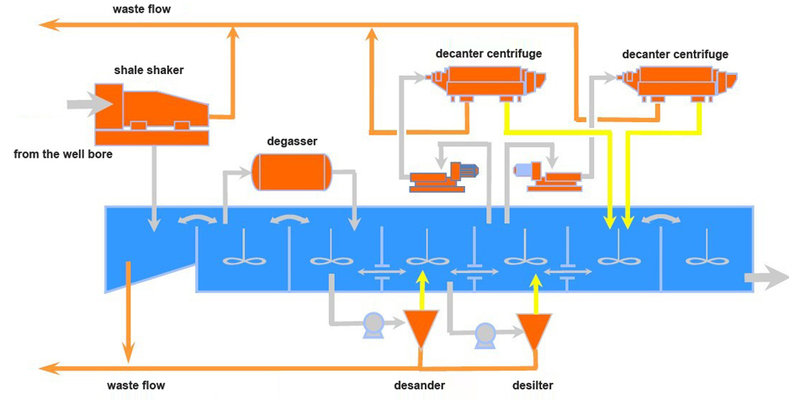 Solids with diameter between 15-44 μm are to be taken out in desilter and later on, the treated drilling fluids will stream to the mud tank below decanter centrifuge through the pipelines above cones for the last purification. 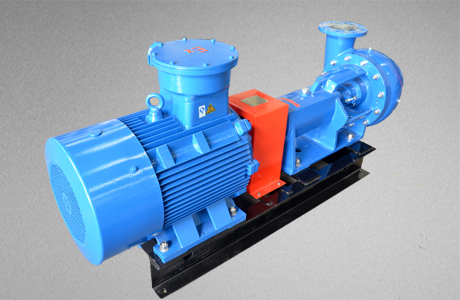 It is pumped into centrifuge by submersible slurry pump (screw pump) and its solids with diameter above 2μm will be plucked out by centrifugal force again. 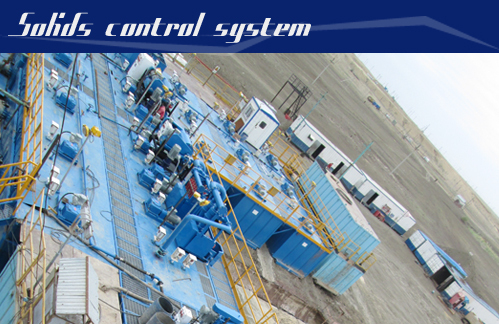 All the tanks in the system are linked by built-in pipelines and may be used to contain any kind of drilling mud accordingly in any purification phase. 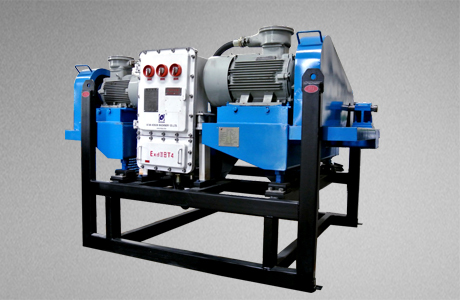 Furthermore, they also work together with jet mud mixer for mud concoction. 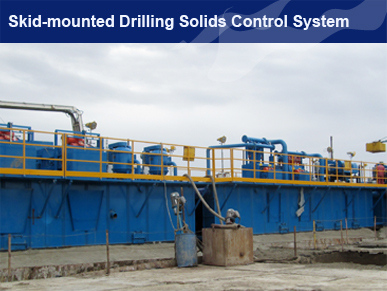 Easy to assemble: The skid-mounted drilling solids control system is generally manufactured and assembled in factory. Its assembly would not take much time since it could be put into use after interface pipelines and outer electric appliances are connected. Easy to move: it may be easily moved since all its functional components are integrated on one base. 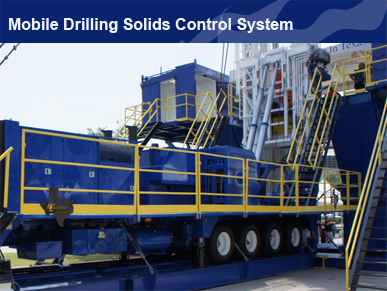 Compact in design: its footprint is not much: the skid-mounted drilling solids control system equipment is compact in design so that much less space would be taken up compared with the traditional assembly method of it. 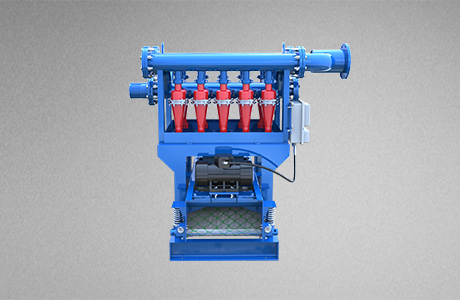 Flexible: KOSUN 1000GPM Orbit Arctic Solids Control System can do group drilling for 10 wells at the same time.No.1 tank of the solids control system is connected at its end via a jointing lug to the hydraulic cylinder, which will lead it to move on the orbit. 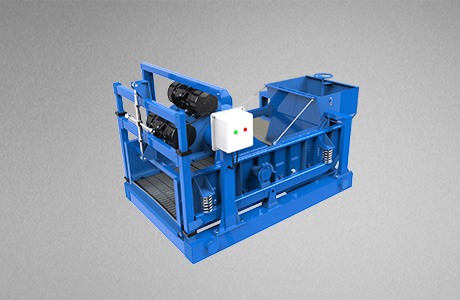 Compact in design: the skid-mounted principle is applied on it since it may be easily moved with all its functional components integrated on one base. Easy to assemble: it is generally manufactured and assembled in factory and its assembly would not take much time. 1. 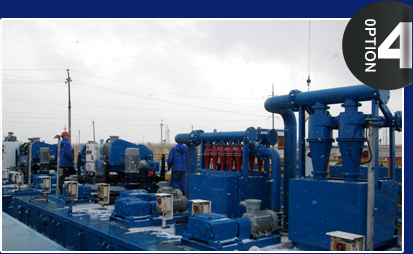 KOSUN 1000GPM Orbit Arctic Solids Control System can do group drilling for 10 wells at the same time. No.1 tank of the solids control system is connected at its end via a jointing lug to the hydraulic cylinder, which will lead it to move on the orbit. It reaches a well every 5 meters and it will have gone through 50 meters long after all the wells have been drilled. Meantime, in order to ensure a safe operation of the system, tank connection has also been put there between NO.1 and No.2 tanks. 2. The main body of No.1 tank is welded together by Q345D low alloy steel, thus being bestowed with high intensity and ability of resisting low temperature. 3. 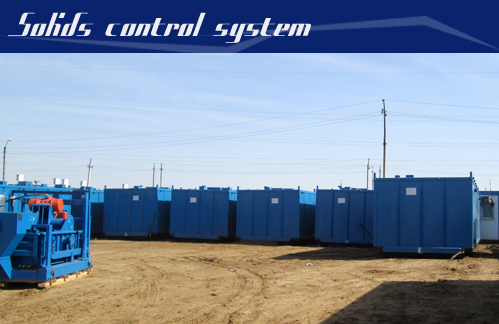 This system is matched with a thermal insulation system, which may shelter the system, the relevant cable tanks and exposed steam pipelines under the shed. 4. This system is matched with a steam heating system and 2 steam heating machines put on the surface of each tank for a better operation of the heating system. 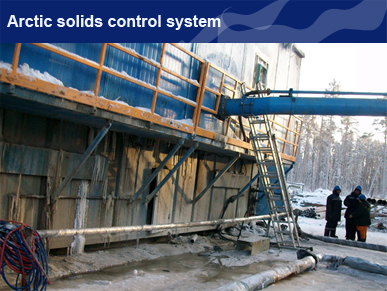 The system can make sure the solids control system works normally under -45 ℃ in the alpine regions like, Siberia, Russia, etc. 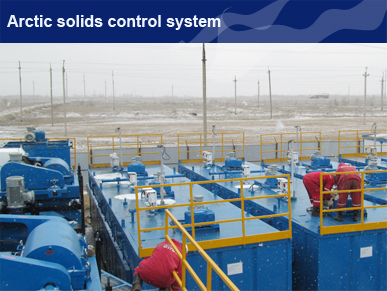 On June, 2013, KOSUN once again supplied 50D Arctic Solids Control System for the project in Kazakhstan invested by Sino-Kazakh Great Wall Drilling Company, after successfully assembling two sets of 70D Solids Control System for them. 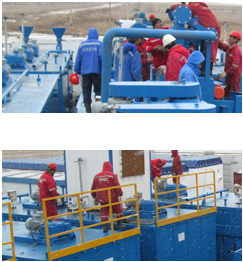 As required, KOSUN has made 50D Arctic Solids Control System fit to operate well even under minus 40 degrees centigrade. 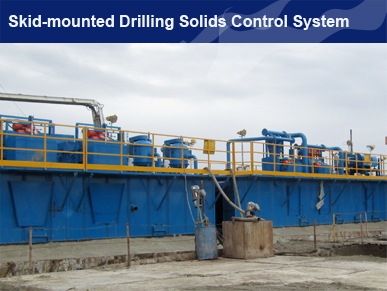 For this project, the provided system is mainly constituted by the following: linear motion shaker, centrifuge, desander, desilter, mud cleaner, vacuum degasser, standardized circuit used in drilling unit, diesel tank, water tank, MCC room, etc. 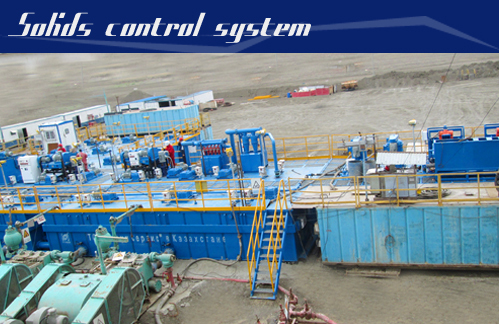 At the very beginning of 2013, KOSUN officially signed the contract on 7 sets 2000HP Solids Control System in Xi' an, China with Sichuan Honghua Oil &gas Engineering Technical Service Co., Ltd., who finally decided upon KOSUN as the partner to work on the solids control system used for 7 sets 2000HP Land Drilling Rig after two inspections in KOSUN factory. 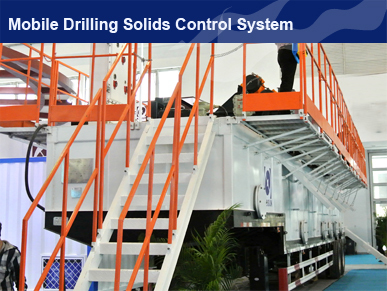 As a subsidiary for China's largest drilling rig manufacturer-Sichuan Honghua, Sichuan Honghua Oil &Gas Engineering Technical Service Co., Ltd.. is now specialized in supplying drilling engineering technical services. 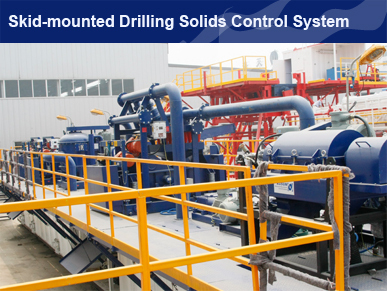 It is reported that the completed solids control system would be applied in the oilfield explorations in North Shaanxi Province and Inner Mongolia, whose contractors are mainly CNPC, Baker Hughes and Schlumberger Limited. Its main execution area is in Zhananueor District, which is 265km away from the headquarters in Aktobe and where the frontline commanding center is founded. The center is mainly in charge of a commanding base and 3 project teams, who are the Zhananueor Commanding Base(N 48"32"01", E 57"15"00"), Zhananueor Oilfield Team, Kenkiyak Oilfield Team(N 48"32"01", E 57"15"00") and Hope Oilfield Team(N 47"52"52", E 57"26"40"). KOSUN established a virtuous and professional after-sales service team in order to guarantee a satisfactory technical services and after-sales services for customers, which may offer the needed matched equipment solution, assembly techniques, equipment maintenance, etc accordingly. 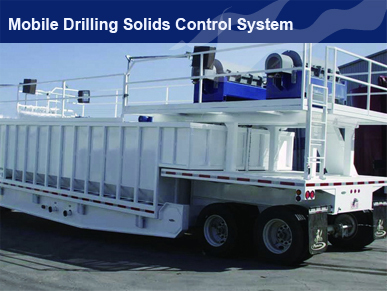 Meanwhile, the team may also provide free training courses on techniques to the solids control equipment operators if the customers demand. KOSUN offers around-the-clock technical and product support 24/7 every week online, which contains services for wear parts, spare parts and the whole system. The authorized customers can all look up and download latest information of relative products, including the assembly diagram, hoisting diagram, structural diagram, common problems of products, solutions and so on. Furthermore, KOSUN provides online manual services on its official websites in Chinese, English and Russian so that the service staff may respond at the fastest speed. Wherever the customer is located, he would get informed about desired products and services promptly and efficiently, personally enjoying the "no-distance communication" of KOSUN. East-west Rd. No.3 South, Jingwei Industrial Park, Hi-tech, Development Zone, Xi’an City, Shaanxi, China. Assembly and Adjustment Method of LCS250 Desander---Xi’an KOSUN Machinery Manufacturing Co,. Ltd.